2012 Student of the Year recipient. The leaves are beginning to change and school is back in session, which means it is time for the Chesapeake Bay Trust’s annual awards program! The Trust’s Student of the Year Scholarship, Honorable Arthur Dorman Scholarship and Teacher of the Year award, celebrate Maryland students and teachers who have shown a strong commitment to their local environment and the Chesapeake Bay. The students are honored with a $5,000 college scholarship and the winning teacher will be given a $2,500 grant award through the Trust. Applicants can be self-nominated or nominated by individuals who are not family members. The deadline to apply is December 20, 2012 at 5:00 pm. Read a full description of the awards below and to nominate, visit the Chesapeake Bay Trust’s webpage. This award is given to a Maryland educator who has shown outstanding commitment to environmental education. Applicants for this award can be self-nominated or nominated by individuals who are not family members. The winner will receive a $2,500 mini grant for environmental education and restoration from the Chesapeake Bay Trust. (Please note that the $2,500 grant award can only be applied to one application and not spread throughout the year.) To nominate a teacher in Maryland for this award, click here . 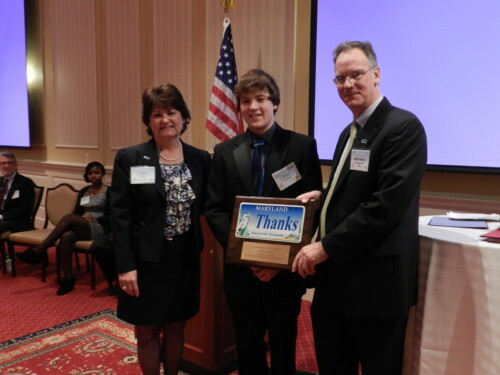 The Student of the Year award is given to a Maryland high school or college student who has shown an outstanding commitment to environmental stewardship, Chesapeake Bay restoration and community involvement. Applicants for this award can be self-nominated or nominated by anyone except family members. The winner will receive a $5,000 college scholarship. To nominate a student in Maryland for this award, click here. This award recognizes a Maryland high school or college student who demonstrates a commitment to improving the health of the environment and the Chesapeake Bay and who, as a student of color, exhibits exemplary leadership in promoting diversity and inclusion in his/her school and broader community. Applicants for this award can be self-nominated or nominated by anyone except family members. The winner will receive a $5,000 college scholarship. To nominate a student in Maryland for this award, click here.